Vibrant stripes in shades of pink and orange make this stylish Quinceanera invitation stand out! 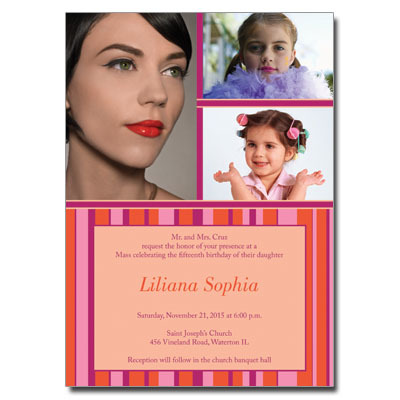 Customize the design with three of your favorite photos; party details are printed in fuchsia and orange on a background of bright peach. Card measures 5x7.